'Guardians of the Galaxy' director James Gunn is pushing to make a standalone movie with Groot and Rocket Racoon. The 46-year-old Hollywood heavyweight - who helmed the popular comic book film in 2014 and is returning for next year's 'Guardians of the Galaxy Vol. 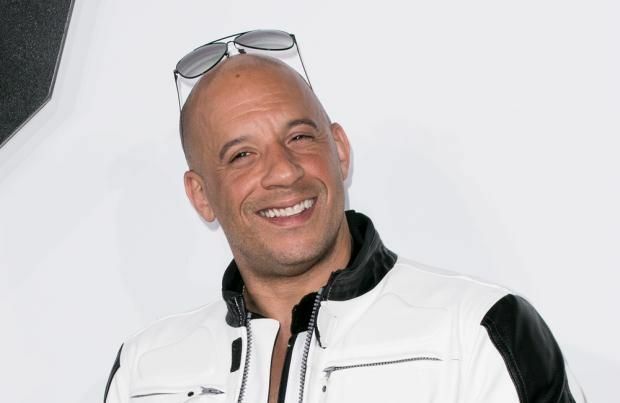 2' - is eager to turn his attention to a standalone movie starring two of the most popular characters in the franchise, according to Vin Diesel, who voices Groot. Vin - who plays the tree-like humanoid in 'Guardians of the Galaxy' - explained to ScreenJunkies News: "I think if it's up to James Gunn, you're going to see a Groot/Rocket movie after 'Avengers: Infinity War'. It's highly possible. We shall see. "I know that somewhere in the universe you're going to see Groot and Hulk battle, I know it. I see that you're going to see that poster, Groot versus Hulk." This comes shortly after Chris Pratt, who stars as Peter Quill in the franchise, revealed he "ripped open some wounds" while filming 'Guardians of the Galaxy'. The 37-year-old actor was coping with the death of his father during the production process in 2014 and he confessed it made making the movie difficult. "There are wounds that are never going to be totally healed. It would probably make for a better story if it was some emotional thing that I hadn't dealt with ... When we face the death of a parent, you sometimes feel regret that you didn't fully embrace what you had."